Chinese New Year came to Utah in 1869 with the workers who built the Transcontinental Railroad. It’s also called Lunar New Year because it’s celebrated by many other Asian communities such as Vietnamese, Korean, Singaporeans and Tibetan. In 2019, we’ll celebrate Chinese New Year, the Year of the Pig, on Feb. 5. The holiday lasts about 15 days, during which time the Chinese community celebrates with banquets and elaborate dishes. The food’s appearance also serves as a metaphor. Fish is served whole (head and tail) to symbolize fullness and wholeness. The type of fish, the way it’s served, and when and how it’s eaten all have meaning. The fish head faces a respected elder or an honored guest. The people who face the head and tail have a good luck drink together symbolizing good will at the beginning and the end of the year. 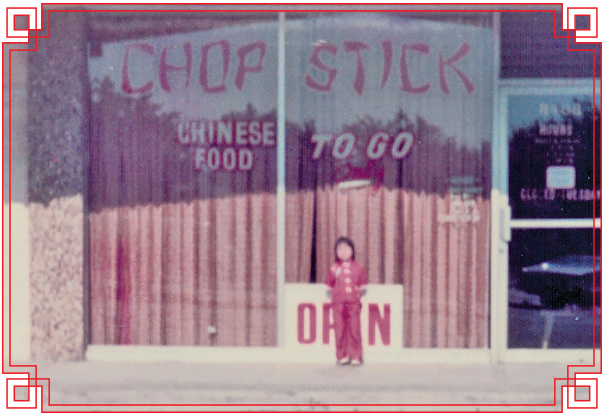 My earliest memories of Chinese New Year involve food. Actually, all of my memories involve food. 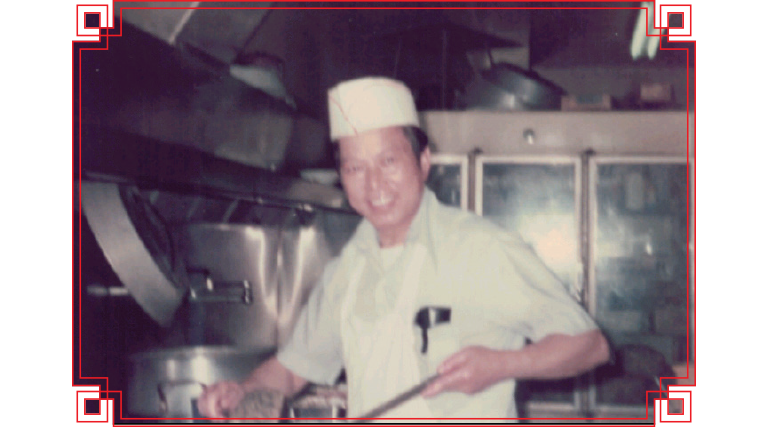 My father owned a small takeout restaurant (Chop Stick Kitchen) in Canoga Park, California, where my siblings and I grew up. Among the many dishes my dad cooked for Chinese New Year was a lettuce wrap filled with oysters and chestnuts, because, he told me, oysters look like a purse with a treasure in it. We also ate a soup with what my dad called dumplings but were in fact really sticky, gelatinous rice balls. Sometimes, these are served sweet, but my family eats them in a savory soup with cabbage and mushrooms. These symbolize family togetherness. It’s difficult to choose my favorite Chinese New Year dish, but this one ranks up there. It’s not a dish for babies: The rice balls have the consistency of glue slime but are so much more delicious than I imagine glue slime could ever be. They’re soft and endlessly chewy. It’s a Chinese version of an Everlasting Gobstopper and the most addictive of glutenous rice balls. The customs of Chinese New Year make it a great day to be a kid. There’s no sweeping or vacuuming, lest our good fortune for the new year be swept away by doing these chores. And of course, there were the hong bao, or red envelopes, filled with money. Usually, it’s just $1 or $2, but it could be more from a close relative. One year, I received a total haul of $23. I think I bought a Donny Osmond record with some of that money. The Chinese community holds several events in and around the Salt Lake area. Among these include a fireworks show (to ward off evil spirits) and a lion dance at the Chinatown Supermarket (3390 S. State, Ste. 11, SLC, 801-906-8788) on Feb. 2, 6-8 p.m. There are also Lion dances at the State Capitol (350 N. State, SLC, 801-410-0011, UtahStateCapitol.Utah.gov) on Feb. 5 at 12:30 p.m. as well as at various Salt Lake libraries, such as one at the Viridian Event Center (8030 S. 1825 West, West Jordan, SLCoLibrary.org) on Feb. 2 from 1 to 4 p.m.